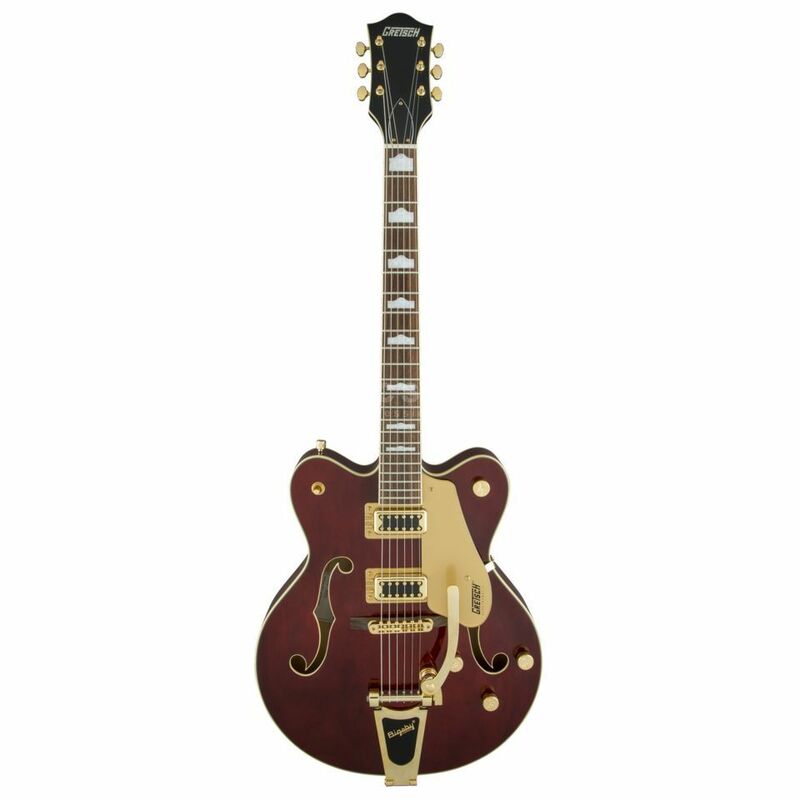 The Gretsch G5422TG Electromatic Electric Guitar Walnut Stain is a 6-string electric guitar, featuring a hollowbody design, with dual 'Black Top' Filter'tron humbucker pickups, a Bigsby B60 vibrato tailpiece, and a walnut stain finish. This expertly crafted guitar from Gretsch is combined with a fully hollow build with oversized bound F-holes, as well as a gold Bigsby B60 vibrato tailpiece and those Black Top Filter'tron humbuckers. Available in other finishes, this electric guitar comes with gold hardware, along with versatile and upgraded controls, including master volume treble-bleed circuit, as well as aged multi-ply binding and a Graph Tech NuBone nut.